The recipient of a juris doctorate from Loyola University School of Law, James R. Carey of Chicago has over 25 years of experience as a practicing attorney. Outside of his present focus in trust and estate dispute resolution, attorney James R. Carey is an active supporter of numerous nonprofit organizations, including Chicago's Horizons for Youth. Horizons for Youth was founded in 1990 with the goals of providing young people with quality education and strong adult support systems. 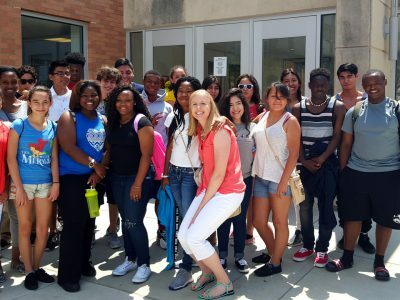 One of the programs that works toward both of those goals is its multi-faceted High School Program, which prepares students to not only gain admission into college, but to succeed in whichever career they choose. To increase the likelihood of student success, the organization works with individual students to identify the right university to meet their particular academic and personal needs. This process involves campus visits to as many as 10 different schools as well as extensive research. Securing financial help for post-secondary education is another pillar of Horizons for Youth's High School Program. Its officers identify and assist students with the application process for financial aid, grants, and scholarships. Since the program was created in 2010, every one of its high school graduates has attended college.